Habitat: It is widely cultivated in sri lanka & india. Medicinal uses: It heals Alzheimer’s disease, osteopenic diseases, brings down cholesterol & blood glucose level and acts as an antioxidant etc. Cinnamon is the inner bark of a tropical evergreen tree. Cinnamon is harvested as strips of bark rolled one inside another. 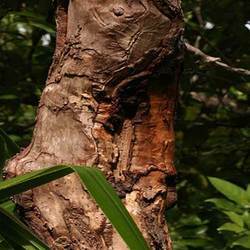 The pale-brown to tan strips are generally thin, the spongy outer bark having been scraped off. In order to meet excellent quality standards, we are supplying Cinnamomum Zeylanicum ( Dalchini , Taj ). We are engaged in offering Cinnamomum Zeylanicum / Cassia- Cinnamon. Our reputed entity is engaged in supplying Dalchini. We are offering supreme quality Spices to our valuable clients. These products are recognized for quality among our customers for their quality and excellent packing. Our offered products are reasonably priced and procured from age old reliable herb collectors and suppliers. Cinnamon Cinnamomum verum, synonym C. zeylanicum is a small evergreentree belonging to the family Lauraceae, native to Sri Lanka, 1 or the spice obtained from the tree's bark. It is often confused with other similar species and the similar spices derived from them, such as Cassia and Cinnamomum burmannii, which are often called cinnamon too. .
Tejpat is a very useful herb for digestive system. People in India use this herb for constipation. The reason is it so effective and so mild on the stomach. It does not cause purgation and also strengthens the intestines. It also improves functioning of digestive system clears the blockage of channels in the digestive system. Banking on our enriched industry experience, we are able to supply Cinnamomum zeylanicum. Cinnamon is the dried bark of various laurel trees in the cinnamomun family. One of the more common trees from which Cinnamon is derived is the cassia. Ground cinnamon is perhaps the most common baking spice. Cinnamon sticks are made from long pieces of bark that are rolled, pressed, and dried. We are amongst the most reputed names in the industry, offering Cinnamomum Zeylanicum.